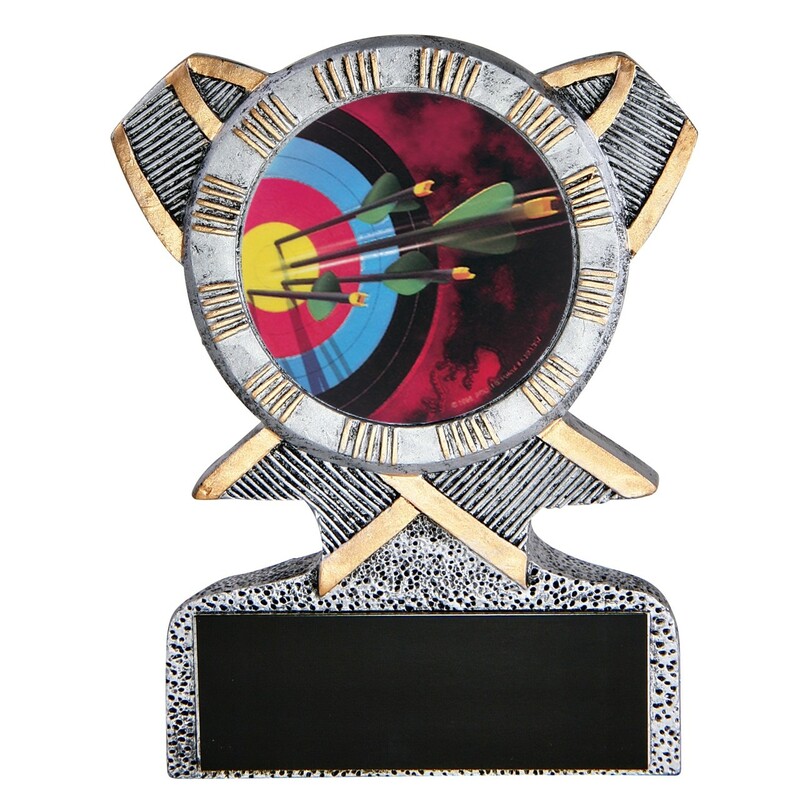 Reward the perfect bulls-eye with our Silver Ribbon Resin Archery Trophy! Featuring a silver colored resin ribbon with gold accents, these archery trophies include a colorful 2" archery mylar insert. Below is three lines of gold engraving on a black plate for FREE! These bullseye trophies are perfect for making any target, whether on the archery range or in the corporate office!